A few of our staff spent spring helping CPS partner UMIAQ welcome and support NSF-funded researchers working around Barrow, Alaska. Josh Bacon, science project manager, noted several times that he was enjoying abundant wildlife sightings, in particular of the avian sort. 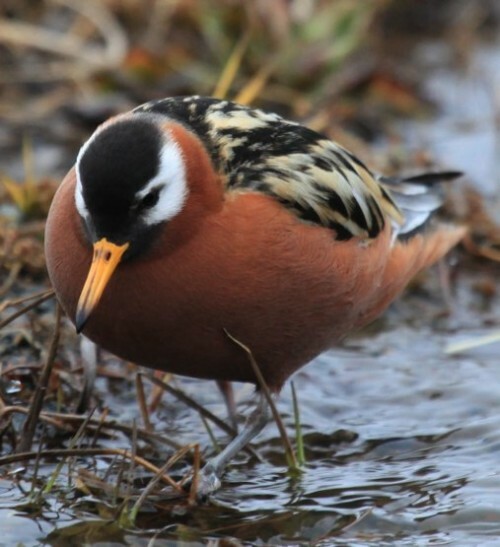 Josh has a passion for birds, having grown up birding, and studying them at the University of Alaska as an undergraduate (visit his profile on the PFS 'who we are' page). He shared the below pictures a few weeks back. Enjoy the birds of Barrow!